One of the first things we learn in school is to look forward to summer. Vacations and summer are forever entwined in our consciousness. As adults we may not have the luxury of three languid months of freedom but we still look for ways to escape, to travel, to seize the new experience. 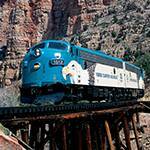 That’s what makes a Verde Canyon Railroad summer tours such an idyllic summer getaway. 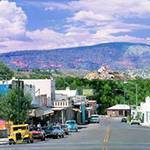 Situated above the harsh heat of the low desert and the chill of the high country, the Verde Valley makes the perfect place to spend Summer Outside the City. 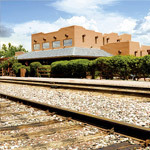 Every train that departs the Verde Canyon Railroad Depot plunges into the peaceful backcountry, far from the heat of the valley and the hubbub of urban life. 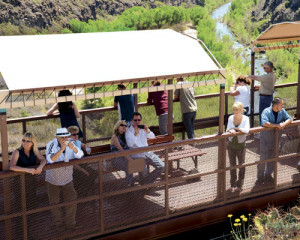 Passengers relax in the comfort of air-conditioned cars before stepping out onto open-air viewing platforms to soak in the lush scenery. The soaring red rock cliffs with dramatic shadows offer unique photo opportunities. Even the novice shutterbug can be sure of stunning snapshots. 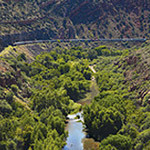 Feel the stress and tension slip away as the train curves through towering canyons following the graceful river draped by shady cottonwood trees. 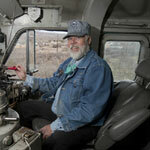 Vintage diesel locomotives pull the train over track laid nearly a century ago. Along the way it passes prehistoric Native American ruins and remnants of pioneering settlements. It’s the kind of adventure we dream about as kids, and as adults feel blessed to be able to share with our own children. Twilight departures are magical. Cares fade as temperatures drop with dwindling daylight. On select Saturday evenings from May through September, departing at 5:30 p.m. Starlight Train Rides serve up a wide-ranging mix of light, color and shadow. As the moon crests the horizon the riparian wonderland and its native creatures are illuminated amidst an unforgettable dreamscape. 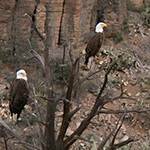 As the sun sets, canyon wildlife heads for the cooling waters of the Verde River for refreshment. Lush cottonwood and sycamore canopies add cover for the awakening nocturnal life and the river sparkles like a gem-encrusted necklace beneath the verdant boughs. The Great Blue Heron takes advantage of long shadows, gliding invisibly and noiselessly above unsuspecting fish. Evening light lingers to the Perkinsville turn-around, allowing passengers the opportunity to see the Verde Canyon in daylight splendor. On the return trip, the moon beams it’s blessings over the tracks as it suddenly appears from behind a towering rock formation before disappearing again as the train snakes its way along the Verde River. Native American tribes have assigned names to the full moons of summer. In the United States, a June moon is known as the Strawberry Moon, while it is called the Rose Moon in Europe. July’s moon has been referred to as the Buck Moon, commemorating when the male deer’s antlers emerge with velvet coats. It also has been called the Full Thunder Moon, as thunderstorms are frequent during July. Tribes that rely on fishing are credited with naming the August Sturgeon Moon, since these fish are most often caught during this month. A few tribes refer to it as the Red Moon because, as the moon rises, it appears red through summer’s sultry haze. 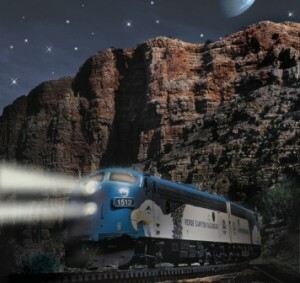 The return journey beckons passengers to the open-air viewing cars to experience the gentle, twilight zephyrs of the high desert. Stars steal the imagination of amateur astronomers as they have since ancient times. Passengers can almost touch Leo the Lion, Sagittarius the Archer, Scorpius the Scorpion and Ursa Major, the Great Bear. An experienced sky-watcher may be able to spot some more obscure formations as Bootes the Herdesman, Lyra the Harp, Cygnus the Swan, or Aquila the Eagle. 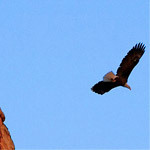 Perhaps a soaring bald eagle will provide a model for comparison. The gyrating headlamp of the lead FP-7 engine adds to the mystic of nighttime in the canyon as it plays against the monolithic canyon walls, much like the stars dancing across the night sky. 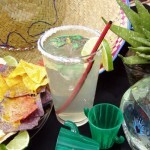 The lush Verde Valley, with its sandy soils and abundant sunshine, is emerging as a nationally-known wine destination. 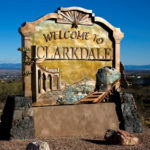 Introduce yourself to one of the most popular vineyards in Arizona’s lush Verde Valley and savor their award-winning wines. MESA BLANCO is Alcantara’s only white blend and all of the grapes in this wine are grown in their estate vineyard. Mesa Blanco is made up of 41% Viognier, 28% Sauvignon Blanc, 16% Marsanne, 13% Pinot Grigio and 2% Orange Muscat. 2014 MERLOT ROSE is made with Merlot grapes grown in their estate vineyard. It is a dry rose and the color is very light, intentionally. Any additions to increase the color adversely affect the delicate aromas of this wine. CONFLUENCE VI is a flagship wine for Alcantara. 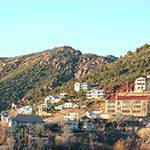 It is named in honor of the confluence of the Verde River and Oak Creek, occurring on the estate property. It is a Bordeaux-style blend of 53% Cabernet Sauvignon and 47% Merlot, all estate grown grapes. GRAND ROUGE VI is another blend from our estate vineyard consisting of 47% Syrah, 29% Charbono and 24% Merlot. The alcohol, at 12.8%, is lower than most red wines making this an excellent food wine. 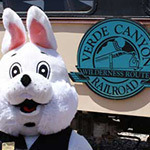 Hop aboard one of Verde Canyon Railroad’s Summer excursions and enjoy an outdoor journey amid soothing comfort and impeccable service. It’s the perfect opportunity to make the most of family time before the kids scurry off to school. 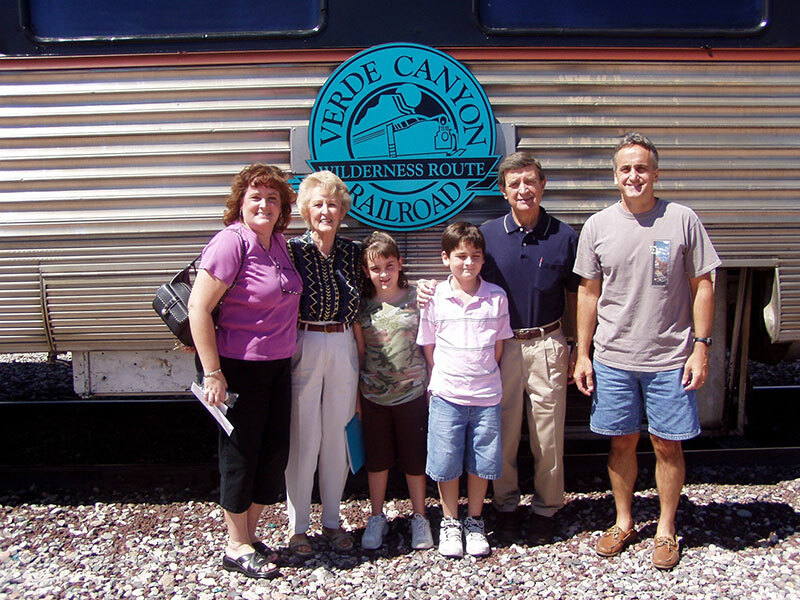 Play hooky one afternoon and let Verde Canyon Railroad drive your family into unspoiled backcountry without a stressful camping escapade. The stylish refurbished vintage cars provide passengers a level of sophisticated comfort rarely experienced aboard a train. 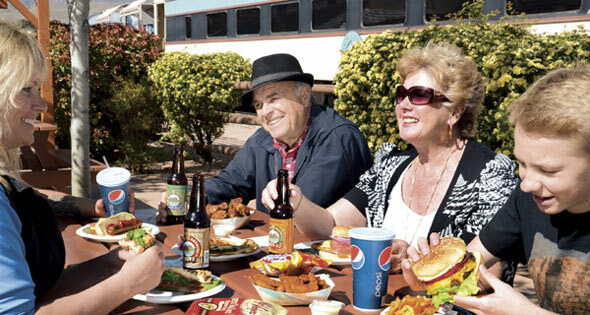 Combined with attentive service, a splendid banquet of appetizers and signature alcoholic and non-alcoholic drinks, Verde Canyon Railroad feels like a rolling resort. The relaxed interior enhances the dramatic scenery engulfing the gentle motion along the rails. 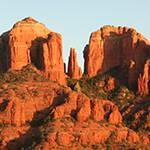 Majestic cottonwoods shade the winding river lined with high red sandstone walls that scrape the dazzling blue skies. From open-air cars attached to all indoor passenger cars, you will marvel at the clarity of distance and vivid details in the clear dry air as it brushes your face. Gather the kids around and let our guides point out distinctive geology, history and ancient rock formations with names … Turtle Rock, Elephant Rock and Godzilla. It won’t be long before the kids are naming new ones themselves. As the train passes through the 680-foot manmade tunnel, it has become a tradition for children to congregate on the outdoor cars to listen to their voices echo off of the tunnel walls. Don’t be surprised if plenty of grownups join the chorus. 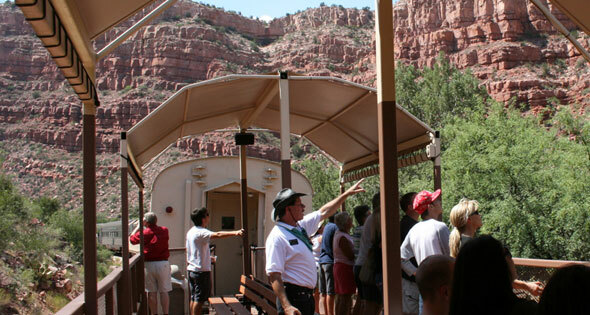 Summer’s almost over but one thing is for sure: it’s going out in style aboard the Verde Canyon Railroad.